Companies expanding into Africa or into new countries on the continent are sometimes at a disadvantage in terms of having reliable geographic and census data upon which to base critical business decisions. Up until very recently, there was no single, comprehensive source of information for the developing African continent. Market Decisions, a South African company offering nationwide research capabilities, often heard some version of this frustration from clients spanning telecommunications, health, education, government and foreign aid, retail, banks, and mining sectors. Having mined various information from reputable sources such as the United Nations, World Bank, Mo Ibrahim, Transparency International, and the World Travel & Tourism Council (WTTC) for nearly a decade, the information Market Decisions had available to them was granular, accurate, and valuable. The challenge was getting the geographic data into the hands of current and potential clients in real time and in useable formats. Market Decisions found the solution in ADC WorldMap, a detailed, 45-layer digital atlas offering seamless geographic data for the whole Earth. 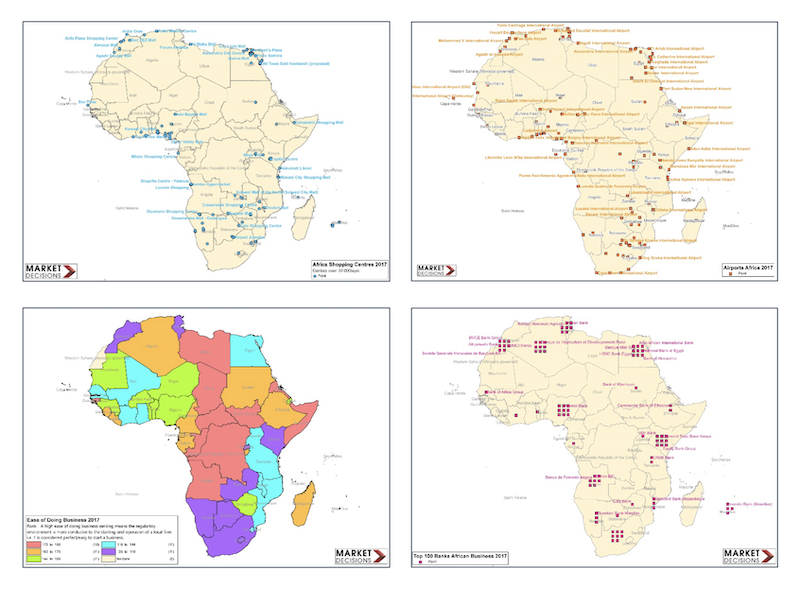 Working with ADCi, Market Decisions was able to access the African map data in ADC WorldMap and connect it to the Africa Profiler data in relation to first level political boundaries, second level administrative boundaries, and privately created boundaries, new points, etc. Users and companies wishing to expand into Africa can source the Africa Profiler maps to enhance their own internal data and make confident business decisions that leverage the advantages of Industry 4.0. ADC WorldMap helped Market Decisions add value to their client relationships, and it can help you, too. Get a streamlined, hands-on preview of what the full ADC World Map digital atlas has to offer by downloading the five-layer ADC WorldMap Lite. Our ADC WorldMap Lite Fact Sheet explains more about this streamlined, dynamic tool and provides access to the free sample download. Click the button below to get started!